Apple typically plays up the Milanese loop band for its higher-end Apple Watches, and it’s not hard to understand why. 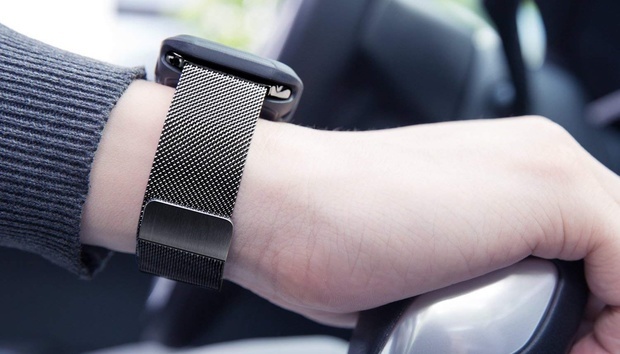 It’s as elegant as they come—a stainless steel mesh strap that wraps in around your wrist and stays in place with the help of a simple magnet. Normally you’ll pay $149 for this elegance on Apple’s own siteRemove non-product link. But today, by entering the code NPXMFVM6 at checkout on Tirnga’s listing on AmazonRemove non-product link, you get a Milanese loop band for your Apple Watch for as little as $7.49. The code works for all the watch bands available, be they black, gold, rose gold, or silver. You’ll get the $7.49 price, though, if you pick up either a 38mm or 42mm band in black. If you happen to miss this sale, it’s worth noting that these go for as little as $8.98, down $8.01 from the normal price of $16.99. And buyers generally seem to be happy. Tirnga’s Milanese loop maintains a rating of 4.3 out of 5 stars even after 928 reviews, and previous buyers praise the band’s breathability and sturdiness. You’ll still find a few complaints, though. Some users say “the magnet sticks to everything” or at least one user said the finish started coming off after a single day. I didn’t see that complaint in many other reviews, though, so hopefully it was just a fluke. Even with those troubles, it’s hard to complain about a $7.49 Milanese loop. Honestly, I’ll be picking one up myself. Should businesses care if their supply chain partners have undergone digital transformation?